Want to email Phil? Fire off your questions and comments to phil@philvalentine.com. you can also find him at www.philvalentine.com. Phil was born and raised in Nashville, North Carolina, a small town of about 3,000 people in rural eastern North Carolina. His childhood life in that small town was not unlike growing up in Mayberry. As a young boy, Phil would ride his bicycle through the sleepy streets of his small town, winding his way downtown, on many occasions, to visit his father. His father’s law office was just across the street from the courthouse where he would drop in, unannounced, to spend a moment or two in the grown-up surroundings. After a short visit, he would pedal off to the drugstore just across Main Street or down a few doors to the dime store. That utterance struck him like a lightning bolt. He had never considered the possibility but suddenly it was clear that radio was where he needed to be. After consulting with a college advisor, he learned that the university didn’t offer a major in broadcasting. He searched for an alternative and found what appeared to be the most direct route into the business – broadcasting school. He immediately enrolled and within a year’s time had landed his first job in radio. Phil spent several years in a small market near his hometown. 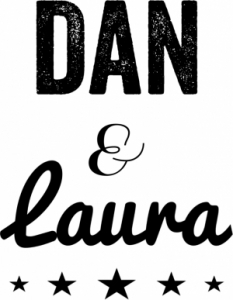 Then came his first big break – a radio job in Raleigh, North Carolina. 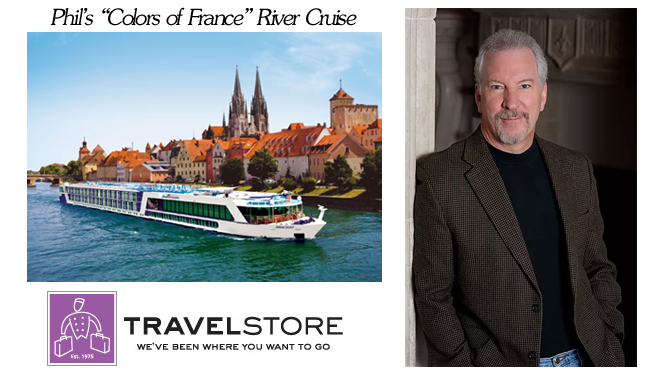 From there, the company promoted him to program director of a station in Greensboro but Phil had his eye on Music City. He applied for a job in Nashville and made the cut down to the final two candidates. Having never met the station manager, he was offered the job over the phone but the other candidate had the tenacity to fly himself in from Florida to meet station management. They liked him, hired him on the spot and phoned Phil with the bad news. As fate would have it, Phil found himself at another crossroad. Shortly after the missed opportunity in Nashville, he found himself in the middle of a management house-cleaning in Greensboro. Not only had he lost the job he wanted, he lost the job he had. Vowing never to let unfamiliarity cheat him out of another job, he packed up everything he owned and moved to Nashville on faith – without a job. Within a week, he had landed a full-time job selling memberships at a health club and a part-time job with the station that almost hired him before. That part-time radio job became full-time in three months time and Phil was back in the game. He worked his way up the food-chain in Nashville radio, switching to WLAC-FM. Three years after hitting town, he had one of the highest rated morning shows in Nashville. 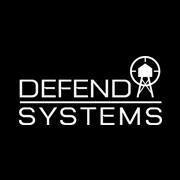 By 1991, he had designs on talk radio but had no experience in the format. After convincing the program director of their sister station, WLAC-AM, to allow him to substitute for a weekend program, the PD liked what he heard. The next Monday he announced to Phil that he was firing the current morning talk host and Phil was to be his replacement. Hesitant to jump in with both feet, Phil did double duty. He hosted the morning talk show on WLAC-AM and the afternoon music show on WLAC-FM. Just as he severed his ties with the FM and went full-time on the talk station, the new program director wanted him back on the music side. Phil reluctantly headed back across the hall to do the FM’s morning show but music radio had begun to wear on him. He wanted a bigger challenge and he got it when Gaylord Entertainment jumped into the talk radio business. In 1995, country music behemoth, Gaylord Entertainment, bought a struggling talk station out of bankruptcy. Familiar with Phil’s earlier work in talk radio, WWTN offered him the job as morning host. Leaving a highly successful music morning show on WLAC-FM was a big gamble but Phil rolled the dice. The gamble paid off. 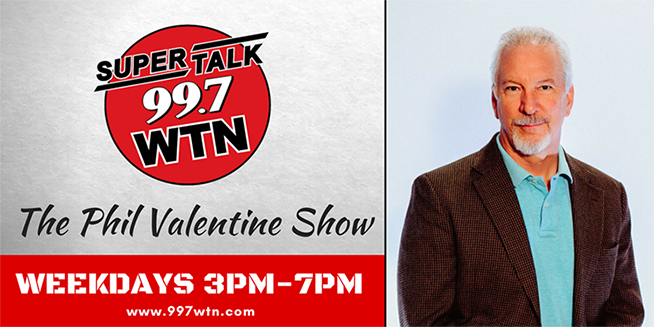 The Phil Valentine Show debuted on WTN in June of 1995 and found an instant audience, drawing more listeners than both competing morning talk shows combined. In the meantime, Phil had been moonlighting, doing television commercials. One of his commercials found its way onto a demo tape at Film House, a production studio that specialized in producing TV commercials for radio stations. A station in Philadelphia had chosen Phil as their TV spokesman. When the owner and general manager came to Nashville for the shoot, they listened to Phil on the radio. As it turned out, their morning host had just announced he was leaving for Detroit. The day after the shoot, they called and offered Phil a job as morning host on WWDB-FM in Philadelphia, the fifth largest radio market in the country. He turned them down. With a wife and two young boys at home, the Valentines had no desire to uproot the family. WWDB spent four months auditioning talk show hosts from around the country for the coveted position. Each host spent several days in Philadelphia filling in on the morning show. The highly-publicized talent search ran through dozens of hosts and was the talk of Philadelphia. At the end of the run, WWDB management decided that Phil was the only one for the job and made another plea, despite the fact that Phil had declined their invitation to participate in the on-air auditions. They convinced him to merely come to Philadelphia for the weekend. There would be no obligation. At the very least, he would get a chance to see the sights of Philly for free. Phil agreed. Once there, he had a change of heart. Philadelphia was nothing like he imagined. He instantly hit it off with station personnel and loved the area. Back home, he discussed things with his wife. Like the lightning bolt that got him into radio, they both felt led to make the move. Phil accepted, on one condition. If the station was sold and either party wasn’t happy, they would pay him for 18 months. Confident that no such sale would take place, the station manager agreed. In spite of the warnings, the Philadelphia audience quickly warmed to Phil. Within six months, he had taken the morning show from ninth place to third in the market. He was now the most listened to talk show host in Philadelphia, outperforming talk show hosts with decades of experience in the market. Brought on board to combat the competition’s recent signing of Don Imus to the morning slot, Phil’s audience was now eight times the audience of Imus. 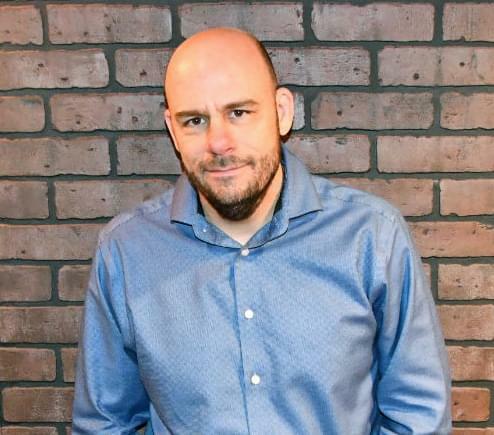 In his first year of eligibility, he won three Philadelphia AIR Awards (Achievement In Radio) for Best Talk Show, Best New Talent and Best Morning Show Host or Team. It was the first time in the history of the Philadelphia AIR Awards that one person had won three awards in a single year. The station, despite the fact that it was, on the whole, performing far below the standard set by Phil, had attracted the attention of hungry radio companies eager for a larger slice of the Philadelphia pie. The station was sold and the new owners had their own ideas about how to run it. First, they wanted Phil to emulate the style of “shock jock” Howard Stern who was riding the wave of his first movie. Phil refused to stoop to that level and the new owners and Phil decided to part company. They honored his contract and sent him on his way with 18 months severance pay. The morning show tanked without Phil at the helm. Within six months, the show had dropped from Phil’s high of 3rd place to 17th. The new morning host, and the program director who hired him, were shown the door. After another year, the owners ditched the talk format all together, killing off the oldest FM talker in the nation, in favor of ’80s music. While biding his time and weighing his options, Phil was asked to fill in at WABC in New York. He had been in discussions with several other stations around the country from Milwaukee to Atlanta to the competing talk station in Philadelphia. But with the luxury of 18 months of pay ahead, he was in no hurry to rush into anything. What he really wanted to do was return to Nashville. Ironically, WLAC had gotten wind of the changes in Philly and, a month after his dismissal at WWDB, placed a call on the outside chance that Phil would want to return. It was exactly the call he’d been waiting for. In April of 1998, Phil made the journey back to the city he loved, just one month after the birth of his third son in Philadelphia. He blew into town on the very same day a series of tornadoes blew through downtown Nashville. He slipped into his new job like an old shoe and quickly began his ascent back atop the Nashville radio ratings. In 1999, he was called back to New York to receive the Silver World Medal for Best Talk Show Host from the prestigious New York Festivals Radio Competition which judges talent from all over the world. The following year, he made another trip to the Big Apple to pick up their Gold World Medal. Back in Nashville, Phil made a national name for himself by helping lead the now famous Tennessee Tax Revolt. Phil joined other talk show hosts in taking on Tennessee’s Republican governor and Democratic legislature as they tried, time and again, to push through a state income tax. After several years of battles, skirmishes and all-out war, the issue reached a fevered pitch in the summer of 2002. Confident he had the necessary number lined up, the Speaker of the House called for a vote. Several “yes” votes succumbed to the throngs of protestors outside the Capitol that had been energized by talk radio. The vote was held open for two hours while the Speaker tried to repair the damage but he could not prevail. The measure was removed and the citizens of Tennessee were spared the burden of an income tax. By 2003, Phil was at the top of his game. He had received a total of eight Nashville AIR awards. His was the most listened to political talk show in the city, drawing a larger audience than all other hosts, both local and national, including Rush Limbaugh. Cumberland House, a best-seller publishing company, approached Phil about writing a book. Based on his conservative philosophy, Right From The Heart: The ABC’s of Reality in America, was released in September of 2003. Within just a few weeks of its release, it hit the Top 100 of Amazon.com’s bestselling books. In December of 2003, Phil announced to his stunned audience that he was leaving WLAC radio after 5 1/2 years. He spent his 6-month hiatus writing another book. Phil returned to the air on July 8, 2004 at SuperTalk 99.7WTN in Nashville, almost 9 years to the day after The Phil Valentine Show debuted in Nashville. Within three months he was back on top as the most listened to political commentator in Nashville, local or syndicated. His second book, Tax Revolt, was released in March of 2005. Phil’s third book, The Conservative’s Handbook, was released in 2008. It’s an updated version of Right from the Heart with new chapters and up-to-date information on the issues. It’s been called “the Bible of the conservative movement” and is now used in college courses on politics. Phil has also producing a documentary on global warming entitled An Inconsistent Truth. It totally debunks the myth of man-made global warming and goes deeper into the motivation of those who seek to tax and control Americans through CO2 emissions legislation. The movie debuted at the Tea Party Convention in Las Vegas in July of 2011. The Phil Valentine Show is now heard on over 70 great radio stations across the country on the Westwood Radio Network. 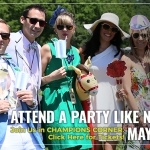 Tailgate in Champions Corner at Iroquois Steeplechase! 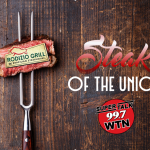 Join SuperTalk 99-7 WTN at Rodizio Grill Tuesday, January 29th for the WTN Steak Of The Union event starting at 6:30pm. Taking place the night of the second official State of the Union Address by President Trump, this event will be sure to turn the Americans ear and we want to be in the middle of it! Hosted by Brian Wilson, Michael DelGiorno, Dan Mandis, Phil Valentine and others from WTN, we will dine with our most dedicated listeners as we watch the President address his constituents, while our personalities host a discussion on touched upon topics. 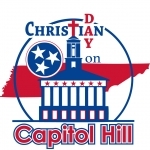 The Heritage Foundation’s 34th Annual Dickens of a Christmas, Presented by First Citizens National Bank is Middle Tennessee’s largest outdoor Christmas festival returning this year on December 8 & 9, 2018!